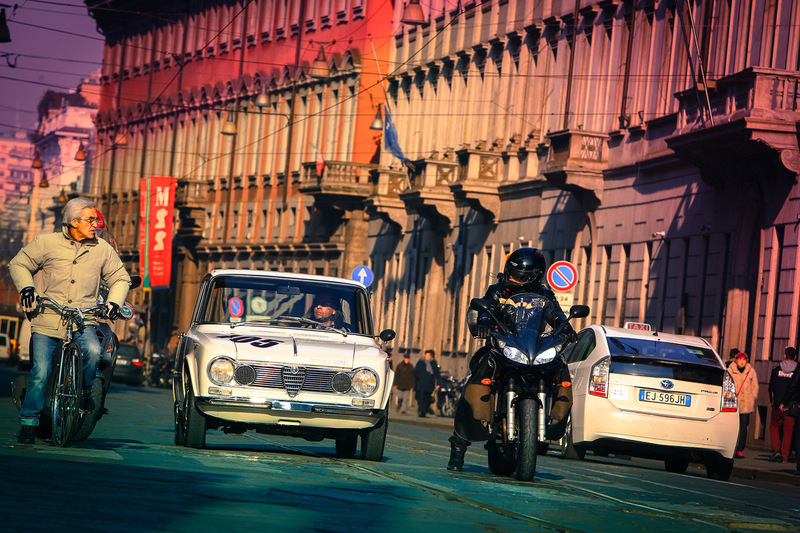 I remember old Italian movies in which the Polizia and Carabinieri chased well-dressed villains while driving boxy Alfa Romeos with rounded edges. I watched them in black and white when I was still a child, so at the time I had no idea what these funny cars were called, but their concave rumps stayed in my memory for decades. Later I learned they were called Giulias. 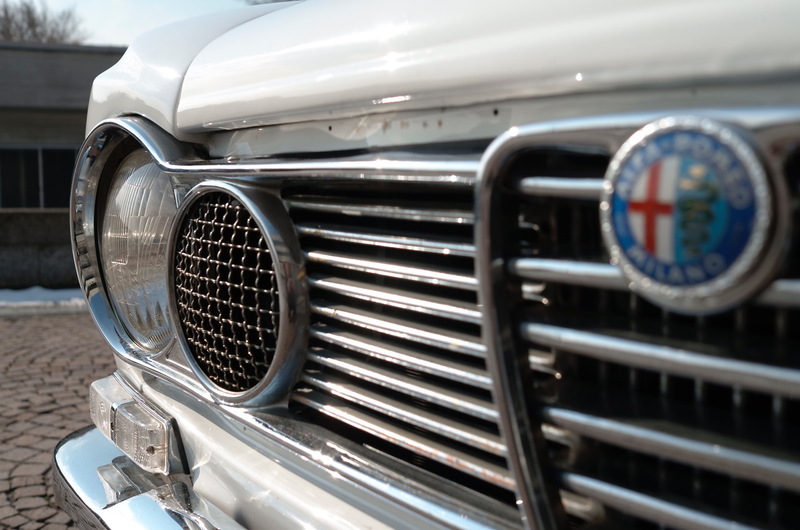 In Italian "Giulia" simply means "Julia", a common female name. 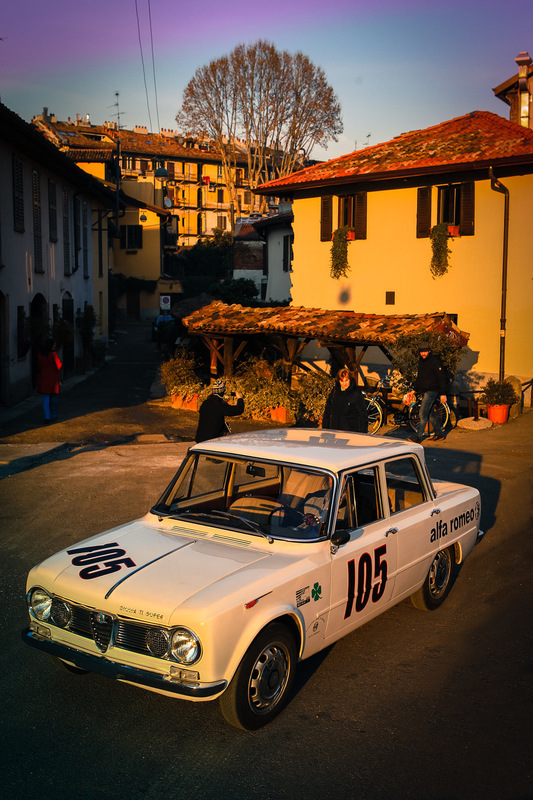 Typical for the Italians to give an outstanding car a banal name which sounds awesome only in their mother tongue. The squarish Giulia replaced the 1950's Giulietta which served as a basis for a multitude of special-bodied sports versions, some of them coachbuilt by Zagato, no less. 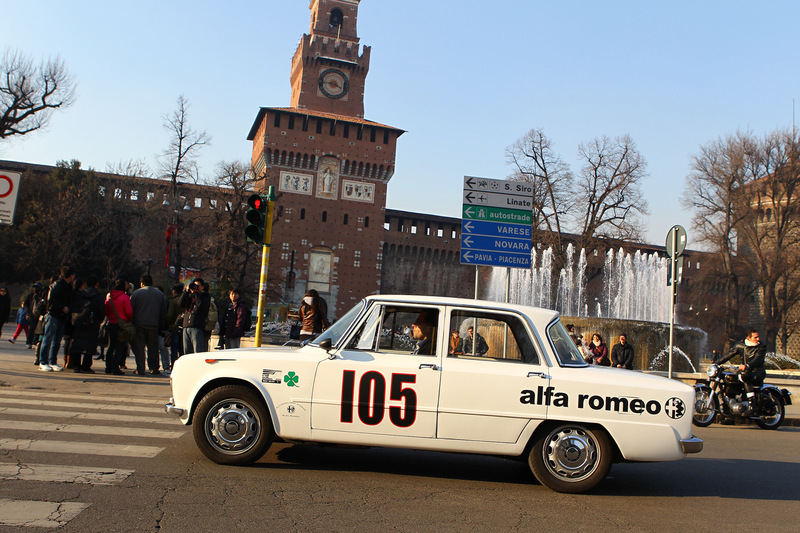 At first the Alfa Romeo management had a different idea, this being the Tipo 103 economy car project. Fortunately for us, this was quickly abandoned and the wizards conspired to build a new sports sedan. 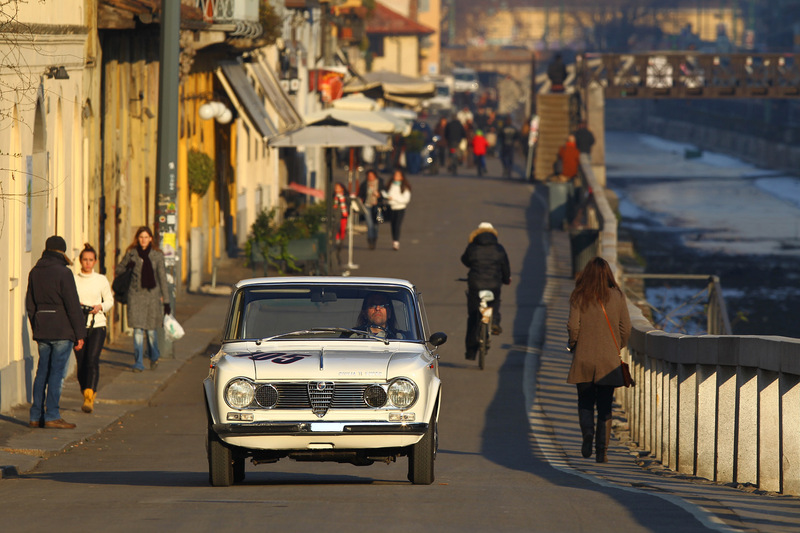 The new car was presented to the press at the Monza racing circuit in 1962, and was an instant hit. Compared to contemporary German cars, its technological advancement made it look like a Nissan GT-R facing a row of Trabants. 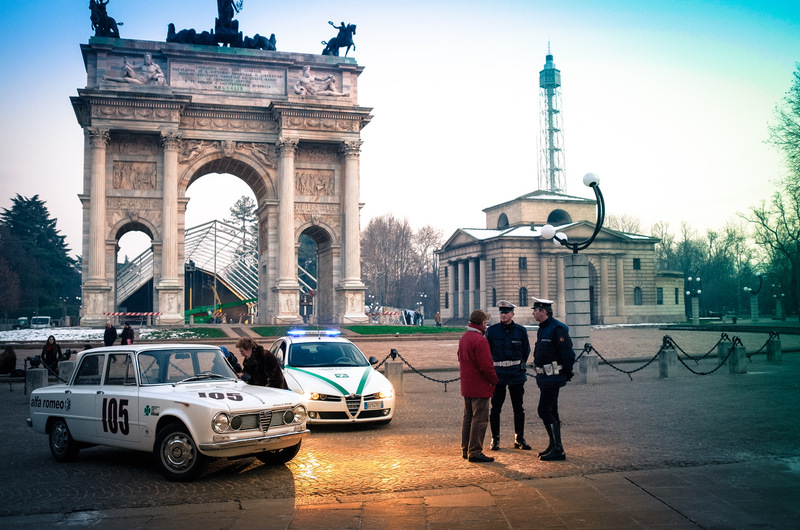 Italians will race any kind of vehicle, so a special variant of the Giulia was prepared to make it easier for the new car to win. Lighter and more powerful, it was built in a short production run of only 501 examples, very few of which survive. Why? Racing attrition took its toll, but for sure some smug Italian males also used the cars to impress female companions, and ran into trouble. Remember, at the time this car was created, Communist Bloc cars were as simplistic as the combination of hammer and sickle, and popular British cars did not even offer a heater! Under the hood this white car has a version of the 1.6-liter engine from the Giulia Sprint Speciale, fed by two twin-barrel Weber 45 DCOE carburetors, developing 113 horsepower, powering the rear wheels via a 5-speed gearbox (a rarity in that period). 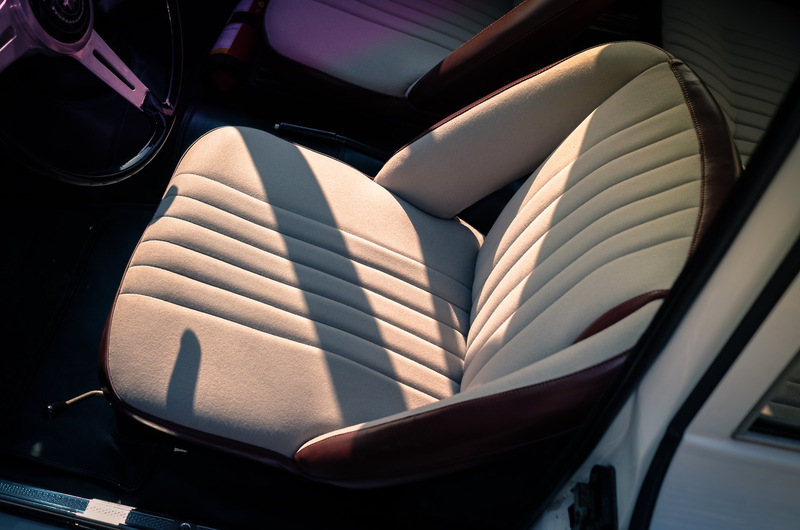 It sports a special light-alloy steering wheel with three spokes, bucket seats in front, and, as of 1964, four disc brakes plus superlight wheel rims made of electron, an aviation alloy of magnesium. as a result, the TI Super was lighter by a whole 100 kilos than the standard car, with a grand total weight of only 960 kilograms. And just look at those 155-section tires, today even shopping carts seem to boast wider rubber. One wiper speed, no radio, Quadrifoglio Verde badges, I am in heaven. Such cars must be driven in a manner different to today's turbocharged, obese sedans. There is no violent acceleration on the straights, no sensations of one's kidneys being crushed. Braking very late creates no advantage, because the car cannot accelerate swiftly out of corners. You learn to carry more speed through turns, and learn the art of energy management this way. The same energy management that glider pilots display while doing aerobatics, and the same art which the late Bob Hoover demonstrated so many times in his aircraft. 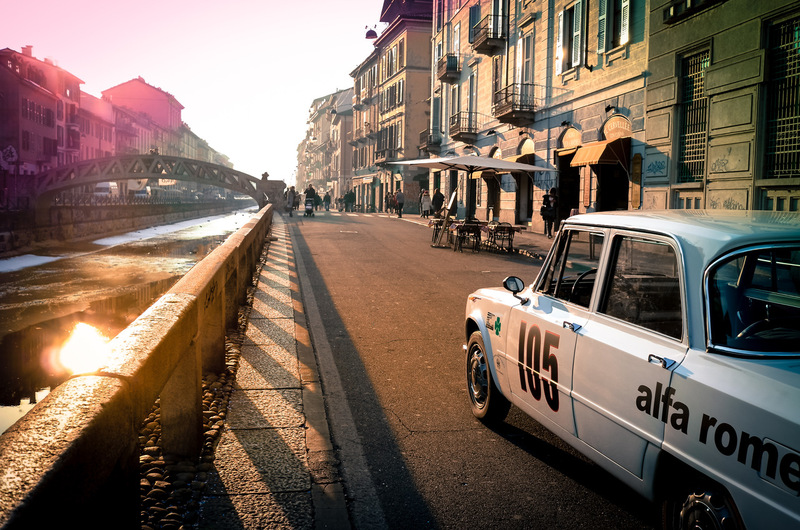 I start my sightseeing tour of Milan at Portello, the original location of the Alfa Romeo factory, and later move closer to the new railway station. The whole front of the building is taken up by a huge billboard, advertising the Freccia Rossa express train. And here we arrive at the explanation of the essence of Italian engineering. Where the Swiss would have advertised the fact that their train is the most environmentally-friendly, where the Germans would have said it was either the fastest or the most punctual, and where the Poles would have told the world theirs was the cheapest, the Italians claim their Red Lightning is simply the most beautiful train extant. Simultaneously this viewpoint does not mean that Italian take technology lightly, without them we would not have screaming Ferrari engines, Common Rail diesels and the Beretta 92F handgun. This whole car is a deliciously analog, not coldly digital, experience, and I am enjoying it immensely. The way the forces on the steering wheel grow smoothly in a corner, the way the controls work, the way the engine sings in the upper register... it all gels together to give the driver a lot of satisfaction. And is there anything else worth living for?